"For a terminally ill patient," McMeekin quips, "the Sick Man of Europe took a long time to die." In fact, its overall military performance in World War I was much better than many expected given the Ottomans' dismal military performance over the previous decades. The so-called "Young Turk" revolt of 1908 (and consolidated in 1913) played a major role in the rejuvenation of the Ottoman military. The triumvirate of Ismail Enver Pasha (minister of war), Ahmed Djemal Pasha (minister of marine), and Mehmed Talât Pasha (minister of the interior), formed a de facto dictatorship that governed the Ottoman Empire throughout the war. According to Rogan, "pasha" was the highest rank in Ottoman civil and military service. The triumvirate, he notes, was more powerful than the sultan or the grand vizier (prime minister). Together they spearheaded a steady transformation of the empire on Turkic terms as well as restructured and modernized the Ottoman military. And in 1913 a German military mission led by General Otto Liman von Sanders arrived to assist Enver in bringing the Turkish army up to the standards of modern warfare. Ottoman and German interests converged after the Balkan Wars primarily because of a mutual fear of Russia, especially after the enactment in 1913 of Russia's "Great Program" of military expansion, followed the next year with a call for a major expansion of Russia's Black Sea Fleet. Russia seemed intent on forging a military force that by 1917 could not only challenge German might in central Europe but also seize Constantinople and secure the Ottoman Straits. As a result, the German-Ottoman relationship, already friendly since the late 19th century, became more cordial in 1913-14. The triumvirate named Liman inspector general of the entire Ottoman army in January 1914, a move that gave the German officer command of the strategic Bosporus defenses and overall supervision of the restructuring and training of the Ottoman military. In addition to these improvements to its military forces, the Ottoman navy had placed orders with British shipyards for two powerful dreadnoughts. These would tip the balance of naval power in the Black Sea decidedly in favor of the Ottomans. The first of these battleships, the Sultan Osman I, was to be delivered in August 1914, the second, the Reshadieh, shortly thereafter. Regional tensions in the Balkans triggered a cascade of events that led to a major two-front conflict in the summer of 1914. The Ottomans, however, did not immediately enter the war. It seemed that the Ottoman Empire would join Germany and Austria-Hungary in August as a result of extraordinary naval developments. At Russia's urging, Winston Churchill in his capacity of First Lord of the Admiralty ordered English naval crews to "requisition" the Sultan Osman I and Reshadieh still at anchor in British ports on July 31. This illegal act denied the Ottoman navy the much-needed edge it required to defend the Black Sea approaches to Constantinople and the Straits. But the loss of these two warships was in part compensated in an unexpected manner. Pursued by a powerful Anglo-French Mediterranean squadron, the German battle cruiser Goeben and light cruiser Breslau were given permission to enter Ottoman territorial waters on August 10. In a clear breach of neutrality laws, the two warships were "purchased," renamed, and transferred to the Ottoman navy. Although a token detachment of Turkish sailors boarded the ships, the German officers retained command, exchanging their Imperial Navy caps for fezes. Despite these developments, the Ottoman regime delayed entering the war while it played a series of diplomatic games to extract sizable quantities of weapons and money from Germany. Wilhelm Souchon, the commander of the Goeben now commissioned as an Ottoman vice admiral, forced the issue in late October when he led the Ottoman navy on "exercises" in the Black Sea, the result of which was the sinking of a Russian gunboat, minelayer, and a dozen or so grain transports as well as the shelling of a number of Russian ports. Russia declared war on November 2, the Ottomans responding in kind on November 10. Four days later, Ottoman sultan Mehmed V declared an Islamic holy war against the Entente powers. By virtue of the fact that the holy cities of Mecca and Medina were in Ottoman hands, the sultan held the religious office of caliph, which theoretically made him the leader of the global Muslim community. The call to jihad was something that the German Kaiser had hoped would create major problems for the Entente. The British especially worried about its impact in India (one-third of the Indian Army was Muslim) and Egypt. Ironically, as Rogan notes, the Allies were more responsive to the call for jihad than the Muslim target audience. Their war effort in the Middle East, he argues, was driven by what in retrospect was an "unwarranted fear of jihad." Britain and France worried that any significant Ottoman military success or Allied failure might provoke "the dreaded Islamic uprising." Muslims, however, remained largely unresponsive to the sultan's appeal. Though the Ottoman forces were mobilized for war in November 1914, they were grossly unprepared for the great power conflict they were entering. Germany was demanding that the Ottomans conduct offensives against the Russians in the Caucasus region to take pressure off from the Russian invasion of East Prussia and against British Egypt to threaten the Suez Canal. But most of the Ottoman forces were concentrated in European Thrace and along the Asian coast of the Sea of Marmara and the Aegean. Only three of the twelve Ottoman army corps were mobilized along in the Caucasus frontier with Russia, and just two corps in Syria and Palestine to face the British in Egypt; a skeleton Ottoman garrison force remained in Mesopotamia with no real defense plan. The Ottomans' war opened with some Russian probes in Anatolia. More important, the British, with French assistance, secured total command of the Mediterranean, the Persian Gulf, and the Red Sea. Ottoman naval power was negligible outside the Black Sea, and the British had no difficulty in shelling Turkish positions in the Dardanelles and in sinking an aging Turkish cruiser at anchor. The most important opening operations in the Middle Eastern theater of the war were conducted by a British-led Indian expeditionary force out of Bahrain up the Shatt al-Arab delta against the southern Mesopotamian port of Basra, which fell on November 23, 1914. The Anglo-Indian force advanced up the Tigris to take Qurna on December 9. The Ottoman regime, Ulrichsen maintains, considered itself in an "existential clash with Orthodox Russia." This was not an unwarranted fear, since, as Johnson argues, Russia wanted to dismember the Ottoman Empire. Under German pressure to engage the Russians, Ottoman forces in December 1914 launched a misguided offensive in the Caucasus. Enver Pasha, who took command of the Ottoman Third Army, believed the Caucasus was ripe for the taking since the Russians would be preoccupied with operations in Eastern Europe. But the Ottoman forces were ill-prepared for the terrible winter conditions in the high mountain passes: heavy snow and below-zero temperatures. Enver hoped to copy Hindenberg's victory at Tannenberg by encircling Russian forces at Sarikamis. But his plan depended on a degree of mobility impossible to attain in the harsh weather. After some initial success, the Ottoman force was thoroughly defeated, suffering horrific casualties both from battle and from the elements. Less than one-fifth of the troops that Enver led into battle returned safely to their base in Erzurum. Enver blamed his catastrophic defeat on the disloyalty of the local Armenian population, which straddled both sides of the Ottoman-Russian border. Armenians living on the Russian side did indeed support the Russian forces and harassed the Ottomans as they retreated from Sarikamis. Long-standing suspicions of the empire's Christian minorities were about to take on "a virulently aggressive form." At the same time as Enver's disastrous winter campaign in the Caucasus was concluding, the Ottomans launched an offensive in the Sinai, expecting that Egypt's Muslims would rise up against the British who had recently declared Egypt a protectorate. They didn't. In January 1915, Djemal Pasha, who was now in command of the Fourth Army based in Syria, and Friedrich Kress von Kressenstein, a German artillery officer and member of Liman's military mission, led a sizable Ottoman force out of Palestine across the Sinai in an attempt to block the strategically vital Suez Canal. Overcoming formidable logistical obstacles, small numbers of Ottoman troops actually managed to cross the canal on pontoons on February 3 to briefly establish a couple of minor bridgeheads on its western side. But they were repulsed by Indian troops, and Kress was forced to retreat to Palestine. (A complementary attack in November 1914 by 5,000 pro-Ottoman irregular Sanusi forces out of Libya made some inroads against British forces in western Egypt. They were halted in December and then gradually pushed back into Libya in a series of engagements in 1915 and early 1916.) While the Suez campaign was an Ottoman defeat, it was certainly not as catastrophic as Sarikamis. 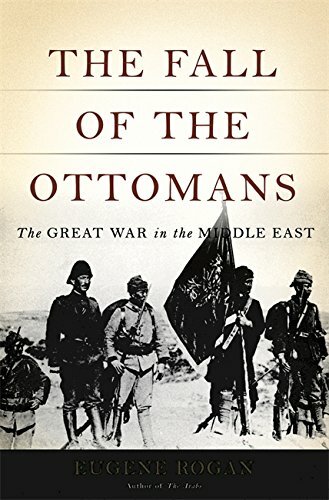 After their relatively easy victories in the Shatt-al-Arab and Suez, British war planners concluded that the Ottoman Empire was, in Rogan's words, "the weak link in the Central Alliance and the easiest belligerent to knock out of the war." In the early stages of the fighting in the Caucasus Russia insisted that the British make a diversionary strike to force the Ottomans to redeploy troops away from the Caucasus. The Dardanelles, the narrow strait between the Aegean Sea and the Sea of Marmara and gateway to the capital of Constantinople, seemed to be the most appropriate target. Wresting the Dardanelles from the Ottomans would bring many strategic benefits, not the least of which would be the likelihood of knocking the Ottoman Empire out of the war. In addition to removing pressure from the Caucasus front and capturing the Ottoman capital, securing the Dardanelles would open the lines of communication between the Black Sea and the Mediterranean enabling the Entente allies to deploy troops and supplies through the Black Sea to coordinate attacks against Germany and Austria, as well as enabling Russian grain shipments to pass through the Straits to the West. The Dardanelles campaign opened on February 19, 1915 with a naval bombardment. Indeed, the initial plans called for a purely naval operation to take the Dardanelles, and the British and French assembled a naval force of one modern battleship, one battlecruiser, sixteen pre-dreadnoughts, twenty destroyers, and thirty-five mine-sweepers. A ground force, including a composite Australian-New Zealand division, was hastily assembled to complement the naval operation. After three weeks, however, it was evident that the bombardments and mine-sweeping were ineffective. The British naval commander, Admiral Sackville Carden, was reluctant to commit the more powerful warships to close-in shore bombardment until he was assured that the danger from mines was removed. Patience was never one of Churchill's virtues, and he sacked Carden, replacing him with the more pliant Vice Admiral John de Robeck. Overall command of the campaign was given to General Ian Hamilton. On March 18, a major Anglo-French force made their attack after receiving assurances that the mines had been cleared. They weren't. And the results were shocking: three battleships sunk and another three heavily damaged. The Dardanelles disaster had two important results. It convinced the Allies that a large ground force needed to land on the Gallipoli Peninsula to take the Ottoman fortifications and enable the naval flotilla to proceed up to the Sea of Marmara and Constantinople. It would take four weeks to assemble a force of approximately 75,000 men to undertake amphibious landings. This was time that the Turks, who Rogan asserts were convinced that Gallipoli was the new epicenter of the "struggle for the survival of their empire," used well to strengthen and reinforce their positions on the peninsula. The failed Dardanelles operation along with increased activity in the Black Sea by the Goeben and other Ottoman warships convinced the Russians to suspend any serious effort to attack the northern straits of the Bosporus. Other than a few minor naval actions in the Black Sea, the Russians did very little to assist the Allies. Although Liman had to respect the possibility of a Russian attack from the Black Sea, the absence of a Russian threat eventually freed up substantial Turkish forces for the fight on Gallipoli. Logistical supply became a nightmare for Hamilton. Meanwhile the Royal Navy's pre-dreadnoughts suffered a number of losses, one to a Turkish torpedo boat in mid-May, and in late May two more of the older battleships were sunk by a small U-boat squadron that arrived after having sortied from Germany. Three months later, a U-boat sank a troop transport en route from Egypt, with the loss of nearly a thousand men. The disappointing Allied performance cost Churchill his position as First Lord of the Admiralty, and Britain's two most modern warships were withdrawn from the Gallipoli campaign to the relative safety of their North Sea bases. Reinforced by three additional divisions, Hamilton hoped to break the stalemate by launching a major offensive at Sulva Bay in August. This force was supposed to link up with divisions advancing from Anzac Cove to the south at Sari Ridge that bisected the peninsula north to south. That never happened. The Sulva Bay operation was botched from the outset. And although the troops from Anzac Cove met with initial success, Kemal's forces eventually pushed them back. Australian and New Zealander troops suffered extraordinarily heavy casualties, as dramatized by the movie Gallipoli (starring a young Mel Gibson). The Gallipoli campaign dragged on four months longer, but as Ulrichsen notes, the failure to breakout of the beachheads in August "signaled the end of any lingering hopes of operational or strategic success." The failure of the Allies to secure the Dardanelles influenced the situation in the Balkans. In September 1915 Bulgaria joined the Central Powers in large part because Gallipoli and the stunning Russian defeat in Galicia convinced them that the Central Powers would win the war. By the end of October, Bulgaria had joined with German and Austro-Hungarian forces to crush Serbia and knock it out of the war. Bulgaria's entry into the war also affected the Allied position in Gallipoli. Fearing Bulgaria, Greece requested 150,000 Allied troops to protect them from the Central Powers. These came from the Allied garrison on Gallipoli. After much internal debate, the Allies evacuated their Sulva Bay and Anzac Cove positions in December, and left Gallipoli entirely on January 8, 1916. The evacuations were conducted smartly without loss of life and, according to Ulrichsen, probably rank as the most noteworthy successes of the campaign that claimed approximately 230,000 Allied casualties and up to 300,000 on the Ottoman side of the ledger. McMeekin, who skillfully employs the "Sick Man" trope throughout his volume, notes that "[t]he Ottoman Sick Man, it seemed, had won yet another stay of execution." There is no denying that the Dardanelles/Gallipoli campaign was a disaster for the Allies and, despite the horrific casualties, a great confidence builder for the Ottomans. It is common for military historians to criticize the campaign roundly as being strategically muddled, over-ambitious, and operationally bankrupt. Johnson, however, makes a good case that, strategically speaking, the campaign made sense. He reminds us that it was the Russians who appealed for military assistance in January 1915. And given their commitment to the Western Front, the manpower resources of the British and French were stretched. Consequently, any military operation to relieve the Russians would be a naval/amphibious affair and would need to have "disproportionate strategic effect" in terms of outcomes versus manpower/resources committed. A successful Dardanelles campaign was about the only operation that could have achieved the desired strategic value. This is not to minimize the manifest operational failures of the campaign. But it is to argue that the benefit of hindsight blurs the fact that the Dardanelles campaign offered a "much needed alternative to the developing stalemate on the Western Front." Johnson concludes that "perhaps … the strategic failure of 1915 was not that the [Dardanelles/ Gallipoli] campaign went ahead, but that the Allies didn't realize the sheer importance of it, and, consequently, that it was never properly resourced." Before shifting the focus to Mesopotamia, we must turn our attention to the other side of Asia Minor, where, citing McMeekin, "the death agonies of the empire were calling forth a new kind of horror." While Gallipoli drew much attention, events on the Caucasus were unfolding that led to the catastrophic deportation, massacre, and ethnic cleaning of Armenians. As Rogan notes, Russian and Ottoman religious politics in the Caucasus had been somewhat symmetrical in that the tsarist government hoped to foment a Christian uprising against the Turks, while the Ottomans tried to provoke jihad among Muslims in the Caucasus against Russia. In the spring of 1915, as the Ottoman forces in Gallipoli braced for an Allied invasion, Armenians rebelled in the city of Van after months of escalating ethno-religious tension and violence and as Russian forces approached. The triumvirate regime, threatened in the Dardanelles, Mesopotamia, and the Caucasus, viewed this (along with suspected activities among Armenians in Cilicia) as a treasonous, full-scale rebellion behind the lines of Ottoman troops, and they reacted violently. Prominent Armenians were rounded up in Constantinople and elsewhere, and a number of decrees were issued that called for the removal of Armenians from frontier areas and repopulation of those areas with Muslims. Deportations and relocations became more systematic, and by July 1915 "a large-scale campaign of violent ethnic cleansing was under way." With no provisions made for their welfare, the dispossessed were given as their "destination" desert settlements in Syria and Iraq. Hundreds of thousands of Ottoman Armenians died en route as a result of bloody massacres conducted by armed gangs recruited by the government and the attrition of death marches across the desert. Bodies littered roadways and rail lines. The actual number of deaths is still debated, but estimates range from around 700,000 to one million. Rogan notes the "bitter irony" that the "extermination of Armenian communities … did nothing to protect the Caucasus from Russian invasion" in 1916. While the Gallipoli campaign was underway, British policy makers based in India decided to that there was an opportunity to move up the Tigris and Euphrates rivers and seize Baghdad. General Charles Townshend, something of a legend in the Indian army, was selected to lead an Anglo-Indian expeditionary force in the Mesopotamian campaign, which began at the end of May 1915. For four months the expeditionary force pushed gradually up the Tigris to the town of Kut, about 112 miles south of Baghdad, which Townsend took after heavy fighting in October. Everything about this campaign, Johnson observes, was improvisational, as would become tragically apparent. Despite Townshend's concerns about dangerously long lines of communication and inadequate riverine transport, planners in Delhi and London, anxious to offset the bad news from Gallipoli with a "glittering success," decided to press on toward Baghdad. It was a mistake. In late November, Turkish troops halted Townshend's advance at Ctesiphon and forced it to retreat back to Kut, where he hunkered down until a relief force could arrive. British and Indian reinforcements gathered in Basra throughout the winter and early spring of 1916, but there were inadequate port, docking, storage, and transport facilities to accommodate the influx of men and materiel. The result was chaos. Moreover, Ottoman forces were bolstered by the addition of two veteran divisions freed up by the end of the Gallipoli campaign. Three attempts between January and April 1916 failed to break through the Ottoman siege of Kut. And on April 29, 1916, Townshend surrendered his starving garrison in what at the time was seen as "one of the greatest military humiliations ever suffered by the British army." To the embarrassment of Gallipoli was now added the shock of Kut. It should be noted that thousands of sick and weak British and Indian soldiers perished en route to or in captivity. Though these were not equivalent atrocities, to the horror of the Armenian genocide we can also add the despicable treatment of the prisoners of Kut. The Caucasus theater was relatively quiet in 1915 after Enver's disastrous winter campaign. Russia and the Ottoman Empire found it difficult to maintain large armies in the rugged Caucasus when they both felt strategically threatened elsewhere. Russia's attention was on Poland and Galicia, where German and Austrian forces made striking gains. And the Ottomans concentrated on the existential threat at Gallipoli. The Russians did make repeated but unsuccessful attempts to capture Erzurum, a heavily fortified city that was the anchor of the Ottoman defense of eastern Anatolia. But the military situation remained essentially static in the Caucasus until a Russian force commanded by General Nikolai Yudenich (who would later lead a White army during the Russian Civil War) launched an offensive in January 1916. The Ottomans were caught off guard and lost Erzurum in February, in what McKeekin calls "a signature victory." The Russians continued the offensive, taking the Black Sea port of Trabzon in April and the Ottoman communications center of Erzincan in late July. Combined with the success of the Brusilov offensive on the Eastern Front, it appeared that the Russians had regained the initiative. But appearances were deceiving. Ulrichsen is especially helpful in drawing attention to the clash of two empires in the Caucasus—two empires that would not survive World War I. He notes that most English-language histories largely ignore the clashes between the Ottomans and Russians in the Caucasus. He contends that while historians tend to focus on Gallipoli, Mesopotamia, and Palestine—theaters that feature British military activity—they miss the fact the Caucasus constituted "the major drain on Ottoman military resources" during the war. Citing a study by Malcolm Yapp, Ulrichsen maintains that three-quarters of all Ottoman casualties in the period from November 1915 to February 1917 were sustained in the Caucasus. This helps account for the weakened state of the Ottoman military when it encountered the British in Palestine and Mesopotamia in 1917-18. In March 1916, with Yudenich's forces making noteworthy gains in the Caucasus, Russian foreign minister Sergei Sazonov met with Britain's Sir Mark Sykes and France's Georges Picot in St. Petersburg to negotiate the postwar partition of the Ottoman Empire. Russia demanded the Straits and Constantinople along with those areas in the Ottoman Caucasus under their control. The Arab provinces of the empire were carved up between British and French spheres of interest, with France claiming the eastern Mediterranean coastline including modern Syria and Lebanon and Britain laying claim to the Iraqi provinces of Basra and Baghdad. The rest of the Ottoman Empire in the Middle East, save Palestine, was divided into zones in which Britain and France would exercise informal influence. The French Zone A included much of interior Syria as well as the northern Iraqi city of Mosul. Britain's Zone B covered northern Arabia, Iraq, and the Sinai. The general understanding was that the two zones would eventually be part of an independent Arab state or confederation of states. Palestine would initially be placed under an "international administration," its future ultimately decided by further postwar negotiations. 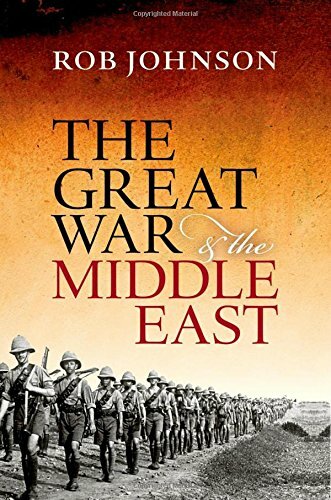 Three of our authors (Rogan, McMeekin, and Johnson) emphasize that while the Sykes-Picot Agreement created enormous problems in the postwar period, it did not, as many still claim, set the boundaries of the modern Middle East. "The map drawn by Sykes and Picot," Rogan states, "bears no resemblance to the Middle East today." The treaties of Sèvres (1920) and Lausanne (1923) had more to do with the determining the map of the Middle East than Sykes-Picot. So why even mention it? The Sykes-Picot Agreement is still widely and erroneously viewed as the source of much of the turmoil experienced over the last hundred years in the Middle East. At the outset of the war Britain courted rival claimants for power in Arabia: Sharif Hussein, head of the Hashemite dynasty and protector of the holy cities of Mecca and Medina in Hejaz on the western coast of the Arabian Peninsula, and Abdul-Aziz bin Saud, whose family held sway in much of central Arabia (Najd). London- and Cairo-based diplomats centered their attention on Hussein and seemed to offer Hussein Arab independence (with the exception of Basra and Baghdad) as a reward for leading a revolt against the Ottomans. But Delhi-oriented representatives based in Bahrain made similar promises to Abdul-Aziz. The contest for control over Arabia between the Hashemite and Saudi families would continue well beyond the end of the war. In the midst of these conflicting understandings, Sharif Hussein launched the so-called Arab Revolt in June 1916, in an effort to gain British support for his claim to control all of Arabia. Despite the impression given in T. E. Lawrence's account and the 1962 movie Lawrence of Arabia, the Arab Revolt was a relatively small-scale affair of basically uncoordinated attacks on Ottoman forces that had very little military impact. Though Hussein's forces were able to capture a number of Arabian Red Sea ports—most notably Aqaba in July 1917—they did so against very weak Ottoman opposition and with a very substantial British subvention. As even "the charismatic go-between" Lawrence admitted, Hussein's ability to marshal military power was limited, and he really only exercised control over a small portion of Arabia. Ulrichsen, who provides a helpfully succinct assessment of the Arab Revolt, concludes that "the subsequent fame of the Arab Revolt is distinctly out of proportion to its contemporary significance, both militarily and—to the extent that Hussein succeeded neither in galvanizing a general Arab revolt nor winning over prominent rivals such as the Al-Saud—politically." In addition to the rise of Arab political consciousness, Zionism gained momentum at this time with a rival vision for Palestine. Zionists made modest contributions to the Allied war effort, especially in Palestine. But the appointment of the sympathetic David Lloyd George as British prime minister and Arthur Balfour as foreign secretary in December 1916 was a major development in the Zionist movement and led in November 1917 to the Balfour Declaration which favored the establishment of a national home for the Jewish people in Palestine. Soon thereafter British forces captured Jerusalem, and seemed to have acquired the power on the ground in Palestine to implement their pro-Zionist pledge. As McMeekin notes, 1917 was "a curious year" for the Ottoman military. After its devastating losses in the Caucasus the previous year, the Ottoman army essentially rested and regrouped as revolution in Russia led to a "strategic meltdown" and "stalemate-by-mutual-exhaustion." In October after the Bolshevik revolution, Russian units fell apart as troops left for home, often in disorderly fashion. But on the southern fronts it was a year of dramatic reversals. Johnson emphasizes that Lloyd George's advocacy of peripheral theaters, a classic feature of British maritime strategy employed so effectively in the Seven Years War, was critically important in the reversals on the southern fronts. In March, the British Egyptian Expeditionary Force (EEF) launched the first of three attempts to take the Ottoman garrison at Gaza. Finally under the leadership of General Sir Edmund Allenby, who orchestrated a heavy artillery bombardment, Gaza fell in early November. This led to a breakthrough in Palestine, despite the efforts of Germany to bolster the Ottoman defenses by providing a few battalions and the leadership of former chief of the German general staff Erich von Falkenhayn, who had overseen the operations that knocked Romania out of the war. Jerusalem surrendered in December. Ulrichsen considers the capture of Jerusalem more of a political triumph than a strategic victory. Johnson disagrees. For him, the fall of Jerusalem marks a "significant turning point" in the Middle Eastern theater. 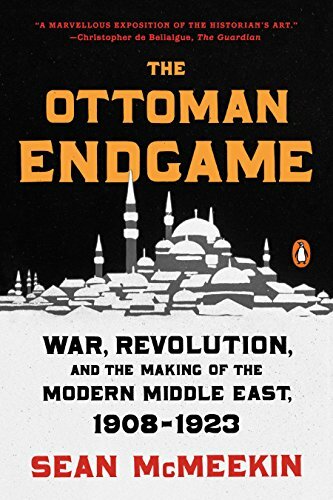 "From this point on," he maintains, "the Ottoman Empire could only fight a rearguard action." After the debacle at Kut, the Indian Expeditionary Force was transformed into the Mesopotamian Expeditionary Force (MEF). In late 1916 and early 1917, while the EEF was attacking Gaza, the reorganized and revamped MEF resumed its advance up the Tigris to Baghdad. The simultaneity of these two offensives prevented the Ottomans from shifting forces back and forth from Palestine to Mesopotamia. In early March, the MEF's successful advance forced the Ottomans to abandon Baghdad. The capture of Baghdad, Ulrichsen notes, was "the first big British success of the war." While it was a peripheral victory strategically speaking, McMeekin reminds us that it was very welcome, coming as it did when the Allied fortunes were at low ebb in Russia, France, and Palestine. Following Baghdad, the British kept up their offensive, capturing surrounding towns that are now familiar to the American military and public: Falluja, Samarra, Ramadi, and Tikrit. In 1918, the MEF took Kirkuk. Major operations in Palestine were suspended when Allenby had to redeploy two of his three British divisions to France to help stem the massive German spring 1918 offensives. But in September 1918, the EEF renewed its advance and smashed Ottoman lines at the Battle of Megiddo. With the outcome of the war no longer in question, Ottoman resistance crumbled as the EEF advanced rapidly into Syria and Lebanon. Damascus fell on September 30; Aleppo on October 26. The Palestine campaign ended on October 30, when the Ottoman Empire surrendered. As was the case for Allenby in Palestine, events on the Western Front prompted the redeployment of troops and resources from the MEF in 1918. There was a sense in which the Mesopotamian campaign was confined to "chasing Turkish rearguards at the end of … [the British] supply tether." There was, however, a flurry of activity in the last days of the war, when the British dashed to Mosul to gain control of its oil potential before the end of hostilities. They occupied Mosul eleven days after the armistice that ended the Ottoman war. While their forces were being overwhelmed in Mesopotamia and Palestine, in the Caucasus, the Ottoman military saw an opportunity in the disintegration of the Russian army to take back Trabzon, Erzincan, and Erzurun in February and March of 1918. In April they occupied Sarikamis and the provinces of Kars, Ardahan, and Batum seized by the Russians forty years earlier. McMeekin notes that the Ottomans could not resist the temptation presented by the Treaty of Brest-Litovsk, which imposed crippling terms on Bolshevik Russia. They got drawn deep into Transcaucasian Russia in "a mad gamble to expand to the Caspian" before events in other theaters determined the outcome of the war. Both McMeekin and Johnson suggest that Enver may have deliberately conceded defeat in Mesopotamia and Palestine to focus on his grand pan-Turkic scheme to create a "Turkified Ottoman Empire" relieved of its Arab and Mesopotamian burdens. Be that as it may, in the final months of the war the center of strategic gravity shifted back to the Balkans, where the war began. In September 1918, Allied forces broke through Bulgarian lines in Macedonia, and in a matter of a few days the Bulgarian front collapsed and the European approaches to Constantinople became vulnerable. Dangerously overextended, the Ottomans attempted to pull troops back from the Transcaucasus. But it was too little and too late. With only about 7,500 troops available to defend the capital, representatives of the Ottoman Empire petitioned the Entente powers in October 1918 for an armistice, at essentially the same time as Ludendorff was doing the same for Germany. At the armistice talks in Mudros and the Sèveres Treaty of 1920, the Allied powers effectively dismembered the Ottoman Empire, reducing it to its "Anatolian rump." There is much more to the complicated post-Ottoman history in which Mustafa Kemal, hero of Gallipoli, would figure prominently as Turkey emerged as a modern, secular state. It is a fascinating and timely story that is beyond the scope of this essay. (McMeekin and Johnson are great resources for readers seeking relatively brief summaries of these complex postwar developments.) It is sufficient for our purposes here to borrow once again from McMeekin and note that Kemal and his fellow Turkish nationalists abandoned an "ungovernable empire … in favor of an exclusionary nation-state they could govern with a firm hand." The authors of the books under consideration agree on a number of points. The war in the Middle East deserves more attention than it has received. It should not be dismissed as simply as a military sideshow. 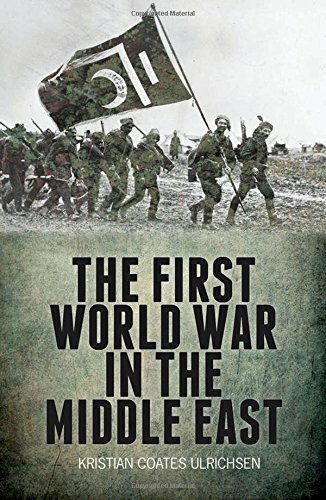 It was, rather, a vast and important theater of the war—one that was pivotal to the development of the modern Middle East, though not in the manner portrayed by the persistent Sykes-Picot myth. Militarily, the Ottomans performed surprisingly well, though we can never forget the stench left by ethnic cleansing and atrocity. And while the war in the Middle East was decidedly an imperial war, the authors are also keen to stress local agency—something that is hard to convey in a short review essay. The interplay between local and the great power dynamics was exceedingly complex. The only reservation I have with these outstanding recent treatments of the war in the Middle East is the impression the authors give of having engaged in some over-correction. To be sure, the story of World War I involves much more than the trenches in Belgium and France. Even so, World War I was ultimately decided in the West. Donald A. Yerxa is professor of history emeritus at Eastern Nazarene College and editor of Fides et Historia, the journal of the Conference on Faith and History.